People stand in line to vote at Oak Lawn Branch Public Library in Dallas on Nov. 6. It's been more than 20 years since Texas voters were so fired up about midterm elections. The turnout on Election Day and two weeks of early voting before that eclipsed voter fervor in 2010 — the year when the Tea Party exploded onto the state and national scenes and handed Republicans massive victories. This year's turnout looked more like the interest Texas voters show in presidential elections. And it was slightly higher than turnout in 2000, when Texans helped send George W. Bush — one of their own — to the White House. The boost in turnout encompassed nearly the entire state. Only four counties out of 254 saw a lower turnout in 2018 than in the last midterm in 2014. Use the interactive below to explore turnout trends for all 254 Texas counties. In the state's largest urban counties, Democratic voters showed up en masse for this year's midterms. But three of the four large Texas counties with the highest turnout were suburban: Collin and Denton counties, outside of Dallas, and Fort Bend County, outside of Houston. 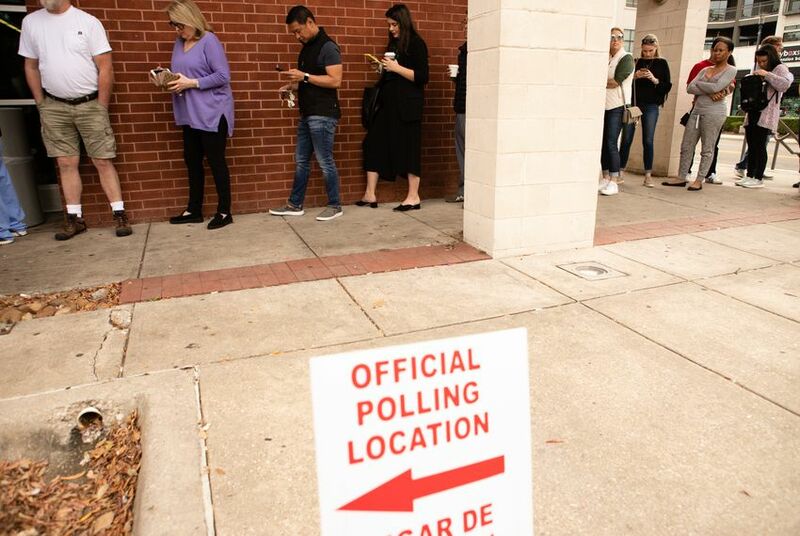 While the most ballots were cast in the state's urban and suburban counties, several less-populated rural counties in West Texas and outside Austin saw some of the highest percentages of voter turnout this year.